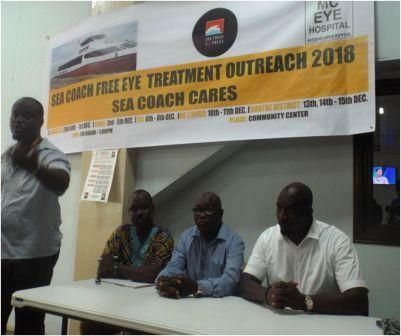 Water taxi company Sea Coach Express located at 70a Sir Samuel Lewis Road, Aberdeen, in Freetown is sponsoring free eye operations done by the UMC Eye Hospital. The sponsorship is in line with their commitment to their Corporate Social Responsibility. The free eye operations started yesterday 4th July at the Aberdeen Community Centre where over 100 eye patients were treated and the clinic will continue till July 6th. 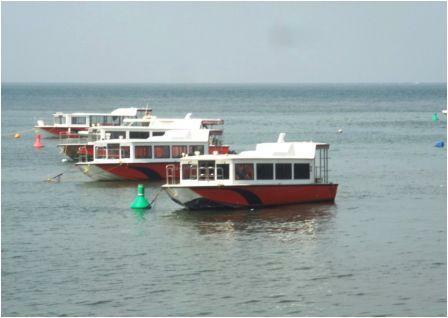 From the 8th July to the 10th July, 2013, the operations will be carried out at the Mahera Beach Hotel/Sea Coach Express Terminal. 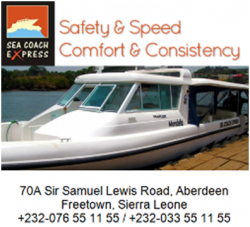 All operations will commence at 8:00 a.m. and end at 2″00 p.m.
Sea Coach Express sponsored similar operations last year.